The Daguerreian Society holds Photography Auctions emphasizing 19th-century photographs and contemporary alternative process images in conjunction with its Annual Conference. For conference attendees, we host a silent auction before the banquet, which is followed by our premier annual auction This year, our auction will be held the evening of Saturday, September 15th, 2018. The auction catalog is available online. 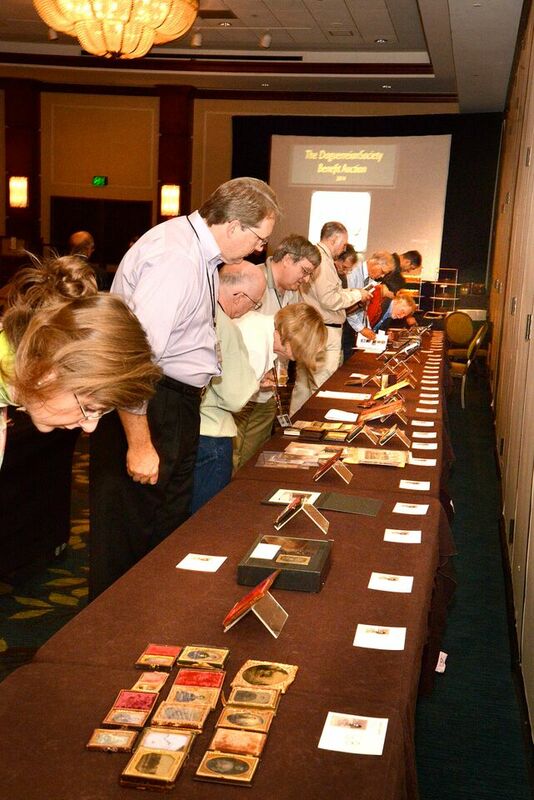 If you are unable to attend in person, you can still take advantage of the offerings by leaving a bid, bidding by phone, or through live Internet bidding. Look for more details on the auction itself under the web site's auction tab about a month prior to the auction.